The caste system, gender biases, child marriage and poverty are just some of the factors that contribute to the deprivation of education among girls in India, especially for orphaned and abandoned girls. In fact, only 1 in 100 girls will complete the 12th grade. Girls are at a higher risk for abandonment than boys in India, especially for families who are poor and marginalized. With limited systems of support for the elderly, many families see boys as superior as they provide the best protection against problems as they age, such as loss of mobility, poverty and lack of access to health care. Boys can provide financial support and guarantee a future wife to bring into the family to help with domestic duties. Meanwhile, cultural norms require parents to save money for an expensive dowry and costly wedding for girls. In addition, as their daughters get married, they will leave, along with their labor to serve another family. In this male dominated society, a girl’s future is often spoken for. The staff and children at Destiny Village Children’s Home know these realities too well. Located in Tirunelvelli, an ancient city in the state of Tamil Nadu, India, Destiny Village is an oasis in the dessert and home to 39 children who have been orphaned or abandoned. Of these children, many are young girls who would otherwise have to face significant disadvantages, especially when it comes to education. Regardless of gender, all children at Destiny Village are enrolled in public school until they complete the 12th grade and are provided with safe transportation to and from the campus. Investing in better access to education for girls in India not only improves their lives, but their local community as well. Research shows that girls in developing countries who complete secondary school have much better outcomes. They are healthier, more independent and their children have an increased likelihood to succeed. Furthermore, they are likely to actively participate in the labor force and be empowered to be voices and decision makers in their families and communities. 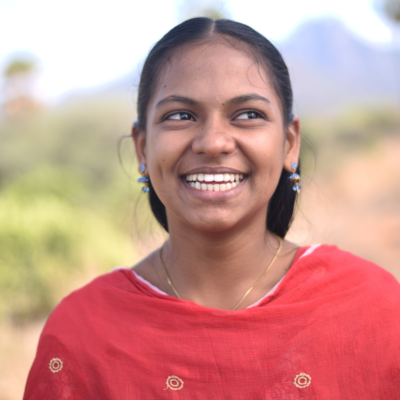 Jennifer and Gomathi have already defied the odds by completing their high school education. Jennifer came to Destiny Village when she was 12. Her father died when she was young, and she became fully orphaned when her mother passed away from unforeseen illnesses. Gomathi also grew up at Destiny Village. When she was three, she lost her father from a car accident and her mother became sick shortly after. They both learned that despite their circumstances, they have a God who is able to give them strength to overcome and pursue their dreams. Both girls have a big dream to complete nursing school. They would like to pursue their degree via a three-year nursing course at the Salvation Army Catherine Booth Hospital and School, located in Nagercoil, Kanyakumari, Tamil Nadu India. The total cost to cover tuition, accommodation, transportation, books, supplies, uniforms and bills for three years is $7,800 USD (or $1300 USD per year, per child). 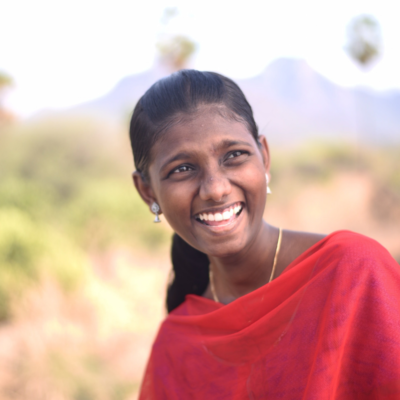 Jennifer and Gomathi believe that despite the message they have heard all their lives, girls do have the right to learn and the power to lead their families and communities. If you are interested in sponsoring Jennifer and Gomathi through nursing school, please click here. You will receive updates on their progress and see how your dollars are literally changing their lives and opening doors to new possibilities.